ZSL London and Whipsnade Zoos have become the first in the UK to remove all single-use plastic water bottles from its shelves, as part of a new campaign to protect the world’s oceans from the devastating impacts of plastic pollution. With estimates suggesting that by 2025 there will be a tonne of plastic for every three tonnes of fish in our oceans, international conservation charity the Zoological Society of London (ZSL) will be announced today as a lead partner in #OneLess, an ambitious new campaign that aims to make London the first major global capital city to completely eliminate single-use plastic water bottles. With ZSL London Zoo visitors alone gulping back some 155,000 plastic bottles of water in 2015, ZSL has made the switch to more ocean-friendly packaging options, with a new range of refillable plastic bottles available alongside fully-recyclable paperboard drink cartons. An art installation in the Zoo’s Aquarium paints a vivid picture of the effect of plastic on marine life, and visitors will also be able to discover more about plastic pollution and the simple steps they can take to reduce their own impacts at the popular, twice-daily Penguin Beach Live! shows. Plastic pollution is a significant and ever-growing threat to rivers and oceans. Approximately 13 million tonnes of plastic currently enter the ocean each year with devastating effects on marine wildlife. UK consumers alone get through 13 billion disposable plastic bottles per year – equivalent to 200 per person – and only half of these are currently recycled, with the remainder usually ending up in landfill. ZSL London Zoo, as part of the #OneLess campaigns, wants to see not only Zoo visitors, but all Londoners ditching single-use plastic water bottles, and instead drinking from refillable bottles. ZSL’s Head of Commercial Kathryn England said: “We welcome more than one million visitors a year to ZSL London Zoo, and that’s one million people we can inspire to help protect the world’s oceans. ZSL’s Head of Marine and Freshwater Conservation, Dr Heather Koldewey, said: “On a recent field trip to the Chagos Archipelago Marine Reserve, one of the world’s most remote island chains, I was deeply shocked to see the amount of plastic water bottles washing up on the beaches from all around the world, showing the impact of our disposable society in even the most pristine places. ZSL London Zoo hopes other visitor attractions will now follow suit to help reduce our plastic packaging footprint. 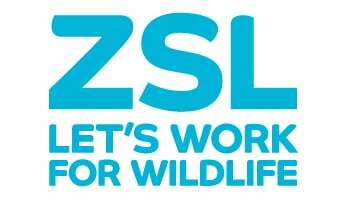 Find out more information on ZSL’s Marine and Freshwater conservation work.